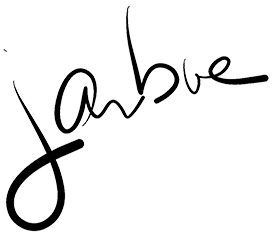 JarboeEx-Swans vocalist/keyboardist Jarboe remains an enigmatic figure, as well as a frequent collaborator with other artists spanning a multitude of musical styles. While preparing for her first Australian tour (alongside Neurosis member Scott Kelly), the American singer/songwriter answered some questions via e-mail. Q: You’ve collaborated with a long list of fellow musicians throughout your career. Who remains unchecked on your proverbial bucket list to work with? A: Tricky and Trent Reznor. Q: Was there a specific moment when you first became aware that music was something you wanted to pursue for the rest of your life? Or was it a gradual process? A: I was always a performer, even as a child. I would put on shows for my parents and their friends when they had parties. I excelled at music when I began formal lessons and also in choirs in school. It was definitely a major focus of my life as a child and student. As for the dedicating my life to it, that became clear to me when I moved to NYC and joined Swans. For me, Swans was my very lifeblood and breath. Q: Is there a creative itch you haven’t scratched – such as a style of music you haven’t tried your hand at yet, but hope to some day? A: I have done a bit of jazz in the past but in 2014, I am recording a jazz album. I am also going into large-scale painting on canvas. Q: Much of your music has been self-released. What is your take on the internet making it far easier for anyone to record and distribute music, but subsequently drastically reducing record sales and thus making it more difficult for artists to make a living? A: I do advocate for musicians to take matters into their own hands, cut out the middle man and go directly to the audience. There are many avenues for this such as TuneCore. The job falls into the hands of the artist to find an audience, yet this has always been the case even if you sign to a label. Very few signed artists have a major saturation push from a record label. Q: You’re making your maiden visit to Australia in a few weeks’ time. What are your expectations for the trip overall? A: I have always wanted to perform there as some of the coolest fans who write me live in Australia. As for expectations, I hope to find the elusive Peppermint Paddock, a wonderful wine by d’Arenberg, a winery near McLaren Vale in South Australia that I loved before it was suddenly unavailable in the US market. If anyone reading this cares to bring me a bottle, I’ll offer a free hand-painted Jarboe Dreams CD as thanks. Q: You’ll be performing as part of a duo during the tour. What type of set-list can fans expect? A: Older Swans and World of Skin material, as well as unreleased new solo material done with acoustic guitar and vocals. Mother Father, The Child’s Right, Please Remember Me and Blood on Your Hands are a few of the songs fans may know. Q: Scarily enough, 2013 is drawing to a close. What have been some of your favourite albums, books and films of this year? A: I love big production, action-type films such as Iron Man 3. False Idols by Tricky would be my favourite album of 2013. Q: In the digital age and thanks to avenues such as Twitter, little mystery remains about most musicians and other celebrities. However, you’ve distanced yourself from such sentiment and kept many details of your life private throughout your career. Is that increasingly harder to do these days, and what do you make of the advent of social media and the like, whereby Hollywood stars will readily tell millions of followers what they had for breakfast? A: I do have two Facebook pages and a Twitter account where I post fairly regularly. Yet the obscurity and “mystique” is deliberate and indeed by only using my family name, even if I am male or female was initially obscured. I am a private person and though I used to be asked how it was that I could share a journal/blog on the home page of my website and do a highly personal autobiographical album, Anhedoniac, I’d respond to this by saying that for me, there is a difference in revealing oneself in a way that is artistic expression as universal experience over using Twitter (and) telling the world what one has for breakfast or a selfie in one’s underwear repeatedly. I don’t mind at all what anyone does in social media. It is the age we live in that the formerly private is now public. I do care what I personally decide to share as it is with intent and thought that I do so. It’s less about ME. It’s about YOUR (the person experiencing my work) experience through my efforts.